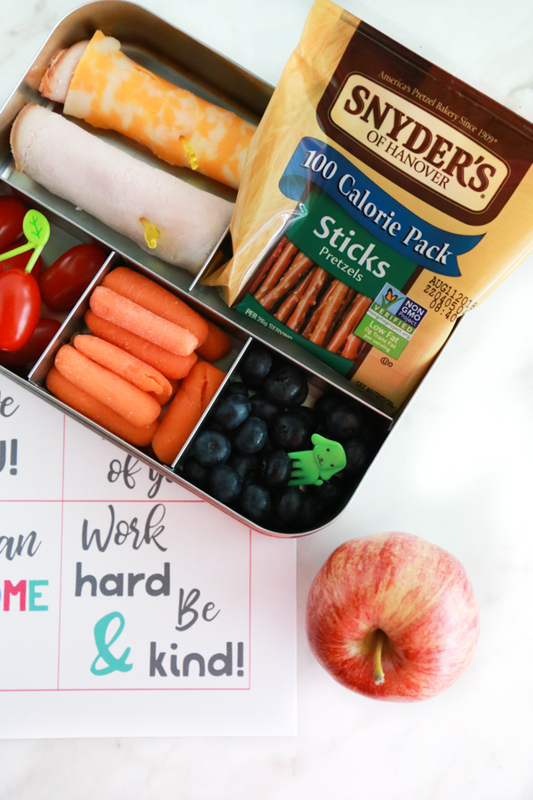 With the kids heading back to school soon I wanted to share some free printable lunchbox notes that you can stuff inside their lunchbox to let them know that their lunch was packed with love. 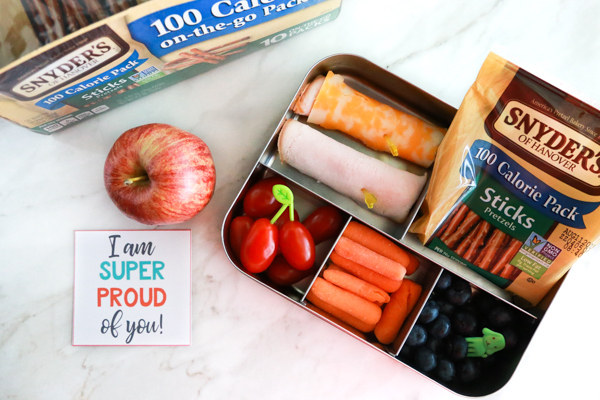 Lunchbox notes are a great way to let your kids know you’re thinking about them, even while they are away at school. When your kids head back to school there is bound to be a little fear and anxiousness. After being home all summer, it’s a big shock to their emotions to be back in school making new friends and trying to find where they fit in. 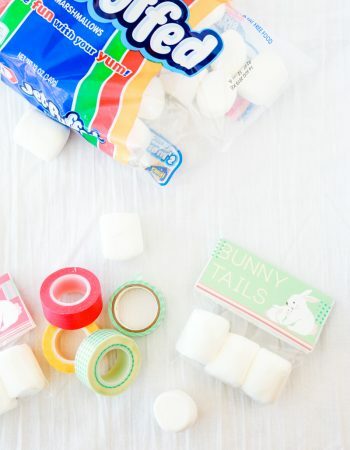 That’s where these free printable lunchbox notes come in really handy, y’all. 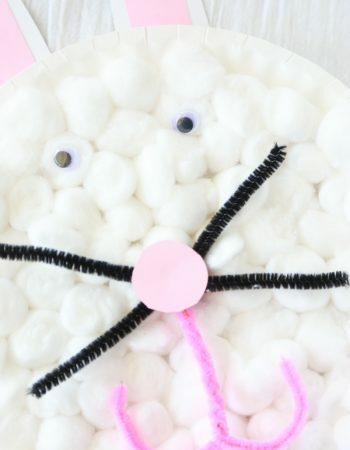 All you have to do is print them, cut them out, and put them inside your child’s lunchbox. A short little note from mom and dad at lunch time is sure to bring a smile to their little face! 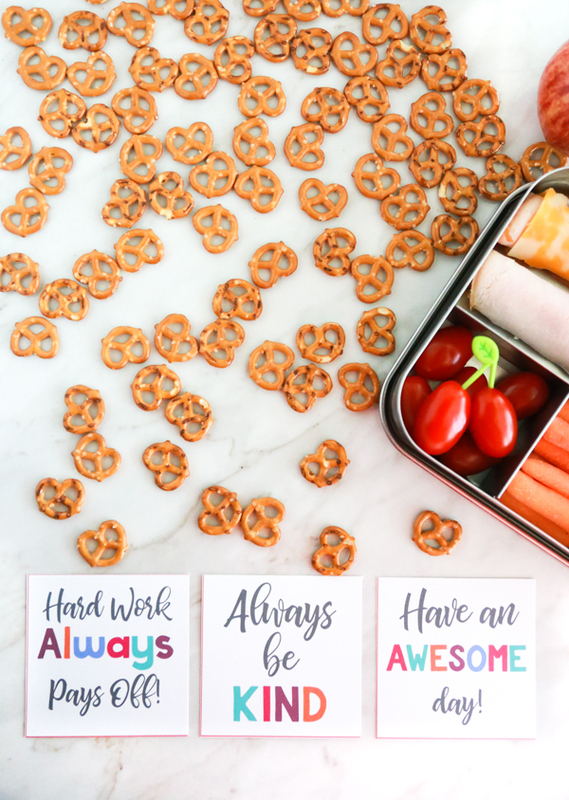 These free printable lunchbox notes all have a positive message with words and affirmations to get them through the rest of the day. When I’m making lunches for my children my goal is to provide them with a lunch that they’ll eat but that also provides their growing bodies with nutrition that it needs to make it through the rest of the school day. A typical school lunch for my children looks like this. Including fresh fruits and veggies along with a crunchy snack has proved to be successful with my children. I love including Snyder’s of Hanover lunch packs right into their lunchbox because they are made in a peanut-free facility which makes them safe for school! They’re also Non-GMO Project Verified and perfectly portioned 100 calorie packs. Being able to just throw them in their lunch without any other prep from me makes them one of my favorite options. I also like Snyder’s of Hanover Itty Bitty Mini pretzels. 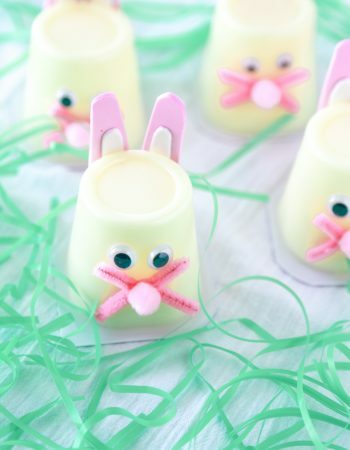 They’re the perfect size for little hands and little mouths. Next time you’re at Kroger make sure you head down the chip aisle and pick some up. 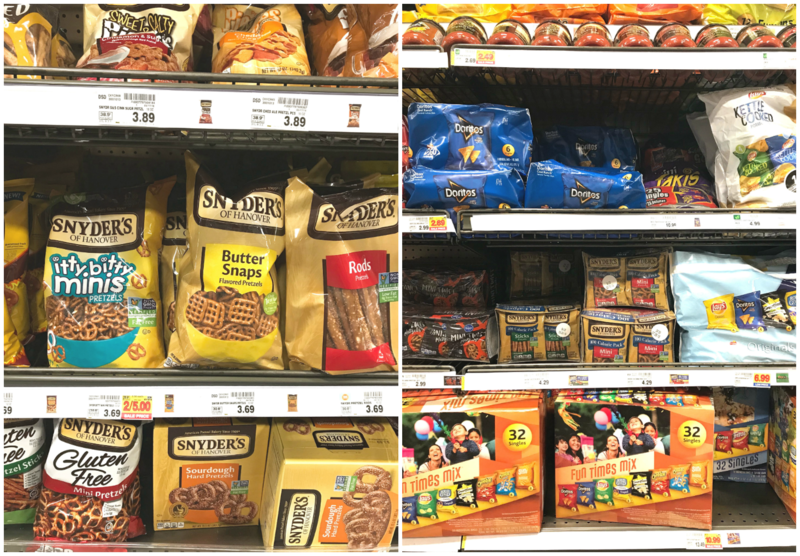 I just love that Snyder’s of Hanover offers delicious snacks with simple ingredients, a hearty crunch, and a lower fat content than traditional snacks. Look out for an offer in your weekly circular for a chance to save on Snyder’s of Hanover® and Lance® products starting 7/29/18 until 9/30/18. 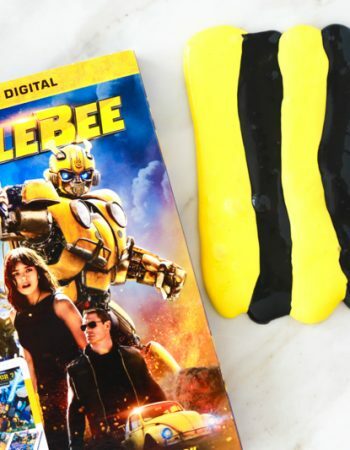 Get your entries into The Back to School Mega Event Sweepstakes from 7/16/18 – 8/26/18 for your chance to win some really great prizes. Weekly prizes will be drawn! Each prize will be packed with love in a lunchbox, except for the scholarship. A check will be sent separately. 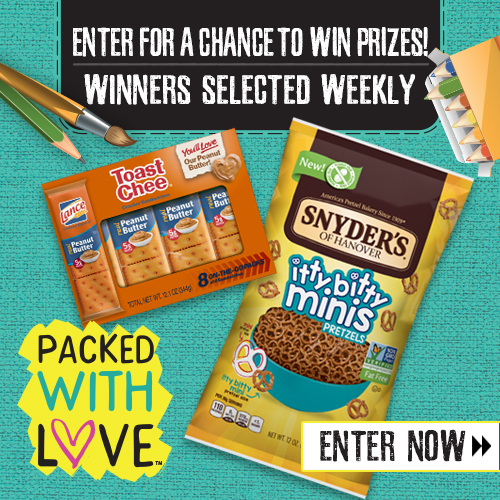 Click here to learn more about Sweepstakes or to get inspiration to for how to make a lunch packed with love. 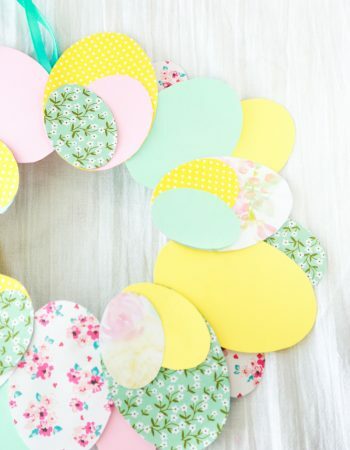 Don’t forget to pin this post to one of your boards on Pinterest so that you don’t lose it. 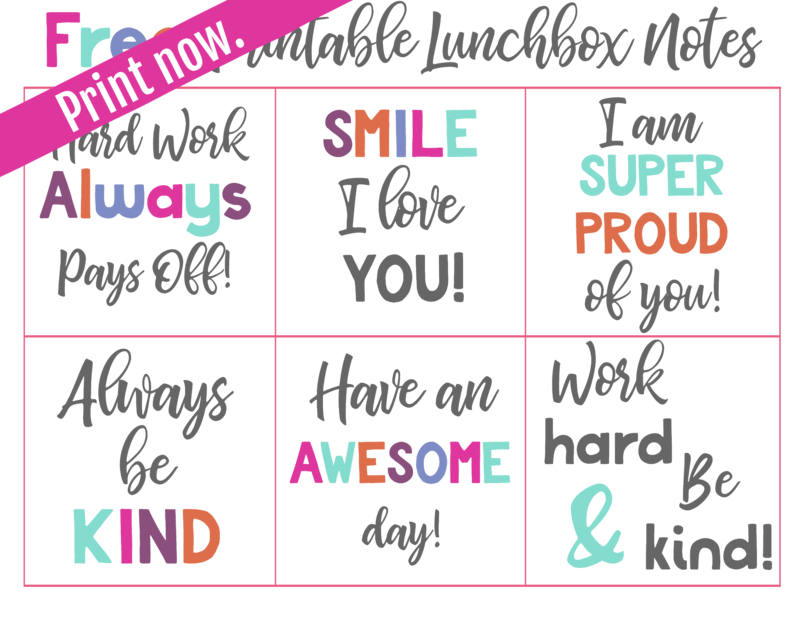 Come back and print these free printable lunchbox notes as many times as you need.